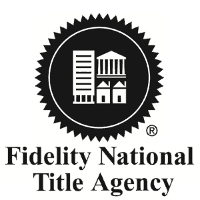 Professional Title is a full service residential and commercial real estate settlement provider that operates in Sevier County and surrounding communities. At Professional Title, the client is always our first priority. Our goal is to make the closing process a smooth one and as easy as possible for all parties involved. Our experienced staff has handled thousands of closings for over twenty four years and maintained an extremely high customer service rating. If you are buying, selling or refinancing a residential home, investment property, commercial building or vacant land, our staff will ensure the closing process is handled properly and in a professional manner.